A new garage door holds the power to transform the way your home looks, increasing its attractiveness and enhancing its curb appeal. 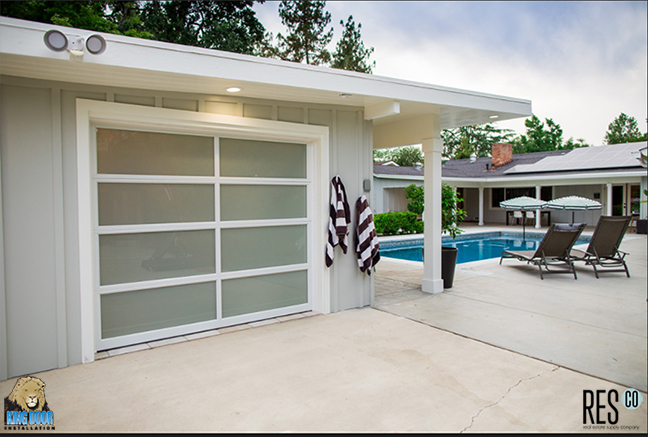 When you need residential garage doors in Bakersfield and throughout Kern County, you need King Door. Not only do we offer a huge selection of residential garage doors, but we also offer authority and experience that you won’t find through other area providers. Since 1985, we’ve offered our residential garage door products and services throughout Kern County. Given our vast selection that includes wood garage doors, carriage house garage doors, modern garage doors, faux wood garage doors and much more, you can always find a model that complements your home’s existing architecture and that matches your vision for the way your home’s exterior should look. At King Door, we choose to offer products made only by leading industry brands like Clopay doors, the only garage door with the Good Housekeeping Seal of approval. We provide doors made with care and attention to detail throughout the design and manufacturing processes, which means you can always count on a quality, durable, attractive garage door when you choose King Door. Coachman Collection: The Coachman Collection delivers the throwback look of carriage house garage doors with the modern convenience of upward operation. Insulated steel and composite construction means that you get the utmost in energy efficiency and durability to go along with Clopay’s trademark attractiveness. Canyon Ridge: Faux wood garage doors that offer carriage house styles, the Canyon Ridge collection offers the texture of natural hardwood on a steel-constructed door. 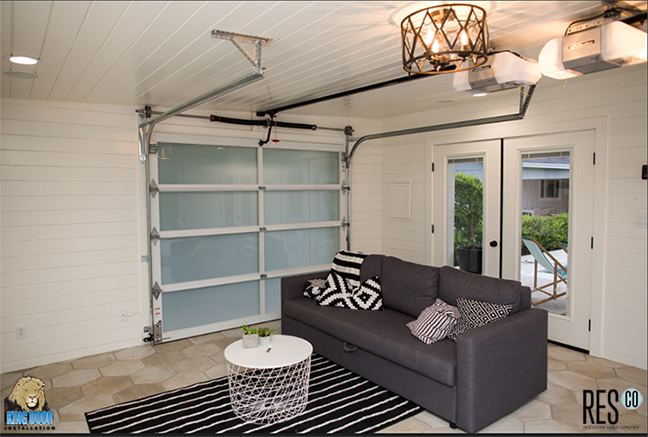 Gallery Collection: Vintage-style garage doors that come with several options that allow you to create a semi-customized design. Choose long or short-grooved panels, select from among five finish paint colors or Clopay’s Ultra-Grain stain, and choose the perfect amount of insulation for your home. Premium Series: Get a blend of attractiveness, affordability and durability when you choose the Premium Series. 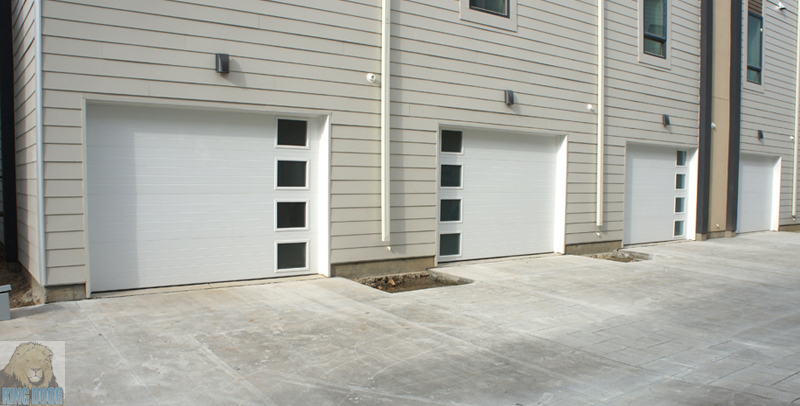 This line of overhead garage doors offers galvanized and pre-painted steel construction, as well as sandwich insulation. 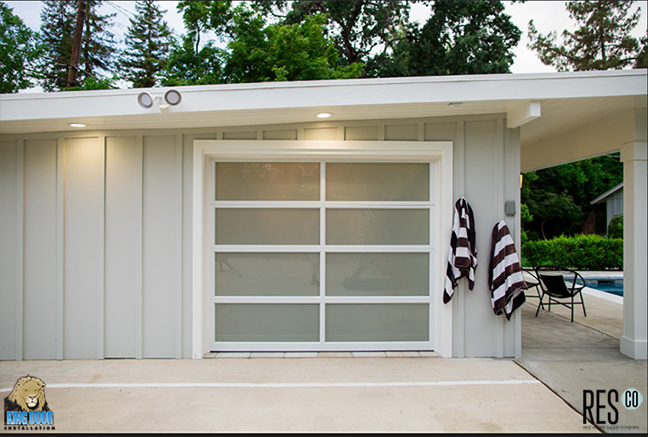 Grand Harbor: These carriage house garage doors offer a steel frame and optional insulation. You get a refined, vintage appearance with little to no maintenance. Value Plus: Get the most out of your investment in residential garage doors when you choose the Value Plus line, which features heavy-duty steel skin construction and insulation that helps keep your home quiet, comfortable and efficient. 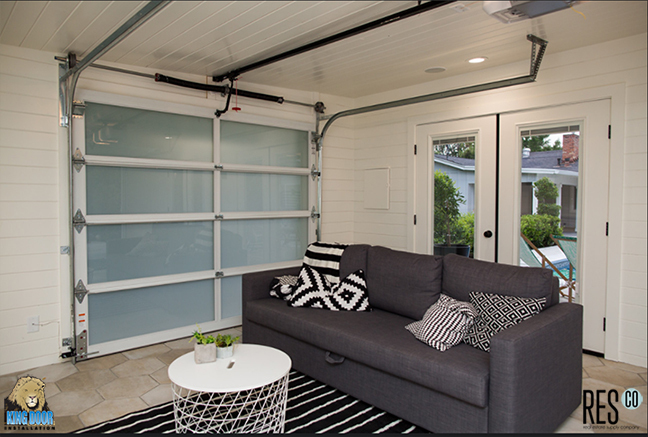 Avante Collection: These modern garage doors offer steel and glass construction as well as window options that can be customized to strike the perfect balance between privacy and natural light. Value Series: You won’t find a more attractive, reliable and affordable product on the market. The Value Series means you get a rugged, durable garage door that performs day after day without breaking the bank. Reserve Collection: The strikingly beautiful garage doors in the Reserve Collection offer authentic carriage house designs that include optional windows and decorative hardware. 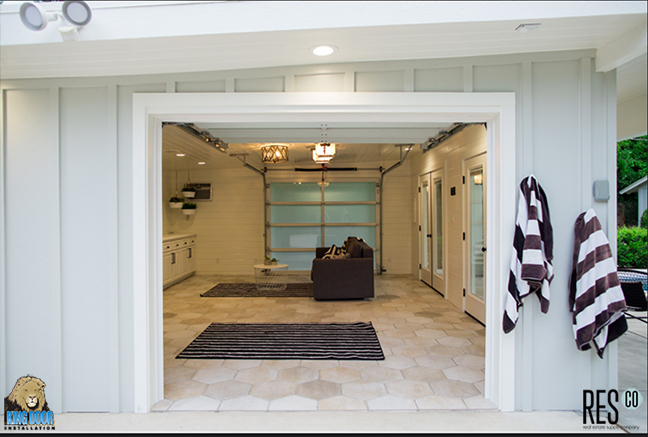 Classic Line: These wood garage doors allow you access to the unmistakable beauty of hemlock, cedar and redwood. Customize with windows and different panel configurations. You’ll find these great products, plus a commitment to customer service, when you choose King Door for residential garage doors in Bakersfield, CA, as well as throughout Kern County. Stop by our showroom and get in touch to learn more about what’s available for you. 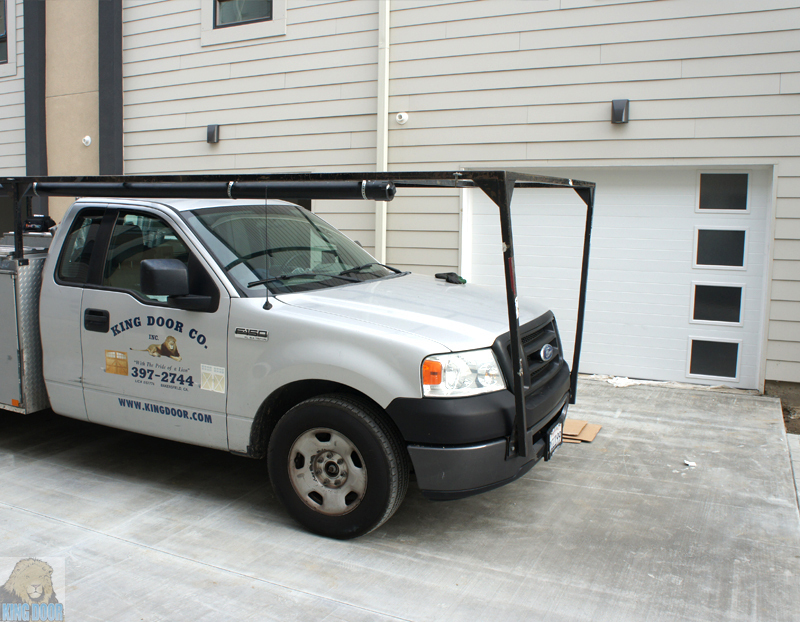 Contact us today for an estimate on residential garage doors for your Bakersfield-area home. 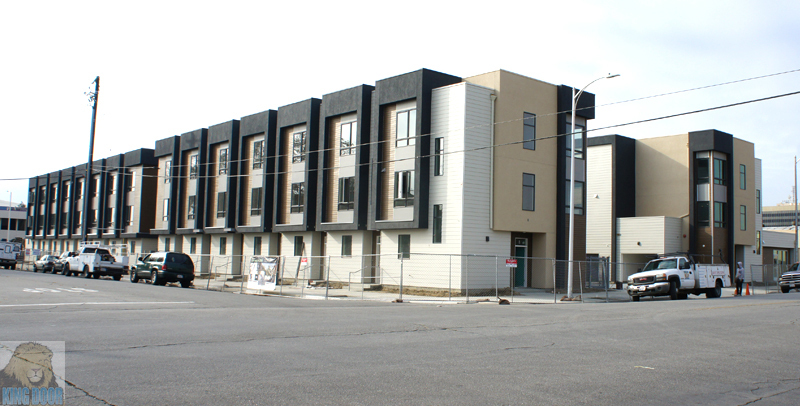 Property Managements and New Construction Multi-unit installs. Down Town Bakersfield 47 Garage Door Units.